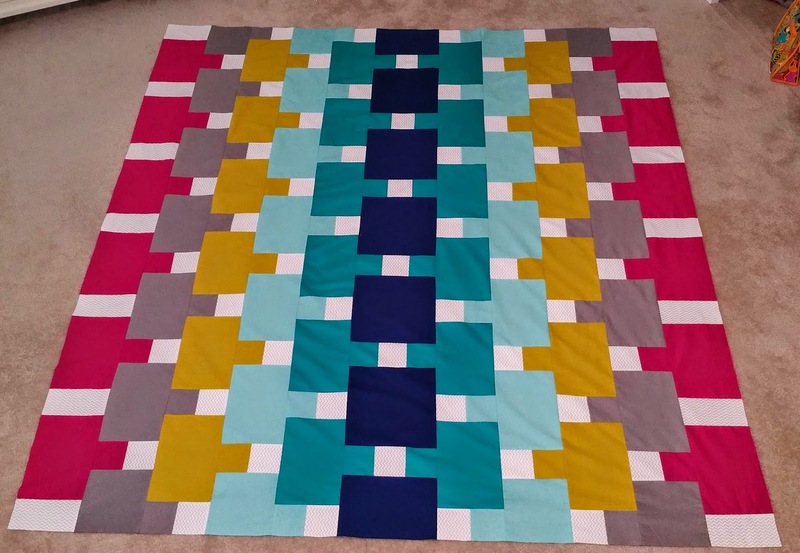 A Few Scraps: Magic Carpets all around, with a giveaway! Congratulations to everyone who was as privileged to test the pattern as I was. They all turned out beautiful! Look at all those wonderful variations! Such inspiration! I am not much of a cook so recipes recommendations are few and far between! Cypriot Greek Salad (found here:http://www.goodfood.com.au/good-food/cook/recipe/hellenic-republics-cypriot-grain-salad-20130321-2gh6d.html) is fabulous though! Great pattern. We love to eat a lot of Mediterranean style grain salads with veggies and feta. Macaroni and tuna salad -refreshing on a hot day. I've been making a lot of Quinoa salad lately. 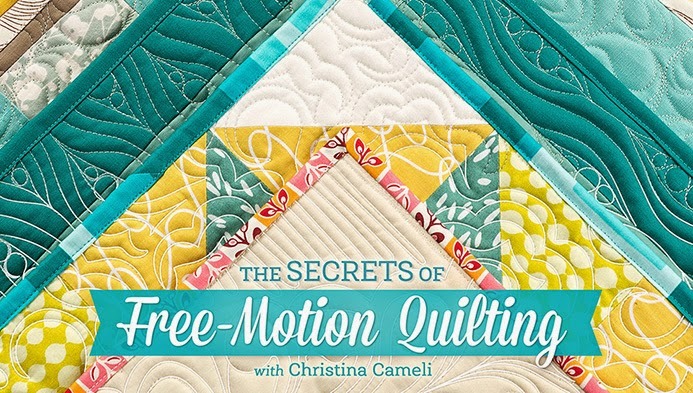 The secret is lots of fresh dill!Love your new quilt pattern! Christina, it's a wonderful pattern that creates a really cool optical illusion! I love it! I love this pattern! A salad I really enjoy is broccoli and cauliflower cut really, really small with craisins, sliced almonds, a bit of very tiny celery and onion pieces with a dressing of mayonnaise, sugar, a tad of salt and pepper. Yum! GORGEOUS pattern! 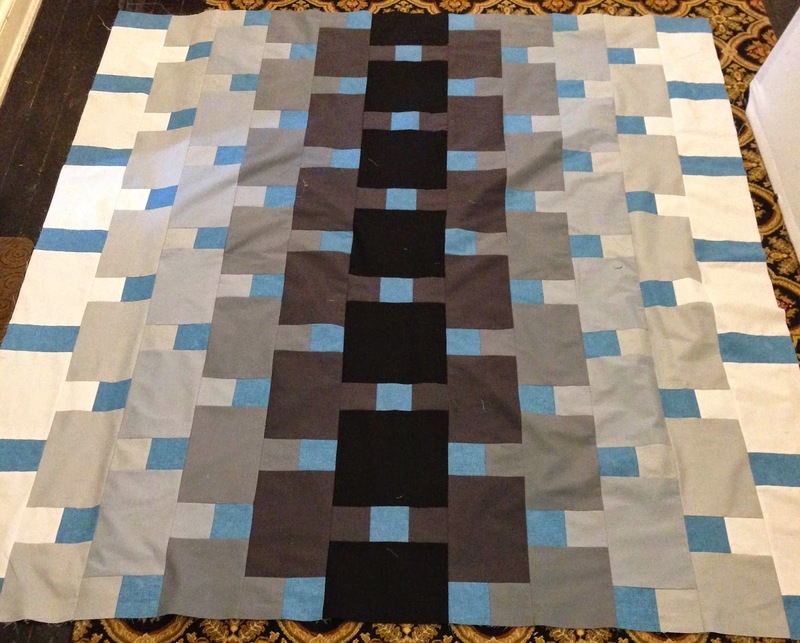 I've shared the pictures of it with my quilting buddies and they think it's stunning. Baby spinach with strawberries and sliced almonds with Creamy Poppyseed dressing makes you think you're eating dessert almost. I love spinach leaves with strawberries, mandarin oranges, apples, spiced pecans. I use a broiled chicken from the deli...skinned and chopped and add a balsamic vinegarette dressing...easy and delicious! Love seeing all those Magic Carpets! So may pretty versions! Christina, our family's favorite "salad" is a Caprese salad: a slice of fresh mozzarella, topped with a slice of tomato, a basil leaf and a drizzle of balsamic vinegar. I love Tabouli in the summer with loads of fresh tomatoes. This is a great pattern! Grated carrot with roasted (crispy) garbanzos and pistachios. Tahini lemon dressing. SOOOOO good. I will hunt up the recipe and send it to you. Feta and watermelon is good too. Lime and honey dressing for that. My favorite summer salad is red potatoes with grilled lemon pepper chicken, feta cheese, artichoke hearts, red peppers and kalamata olives with a lemon dressing. Love this pattern! I also love Chinese Chicken Salad-shredded lettuce, shredded chicken, green onions, sesame seeds, fried wonton strips and a dressing of sesame oil, rice vinegar, sugar and vege oil. Think I'll make some now! Yum!! Cool pattern, Christina! My favorite salad is lettuce with a few salad croutons and a little bit of dressing. Thin, not thick dressing. Sometimes a little purple onion, too. Your pattern is awesome I would love to win it! I love snicker salad. Love seeing all the ways the pattern changes just by the fabric choice. My favorite salad varies day to day but the base is almost always iceberg lettuce. After that it's whatever I feel like eating that day be it veggies or fruit. sorry I'm no help. My favorite salad recipe is from Ina Garten, the Barefoot Contessa. It is her Grilled Panzanella Salad, great in the summer when tomatoes, cucumbers and peppers are in season. 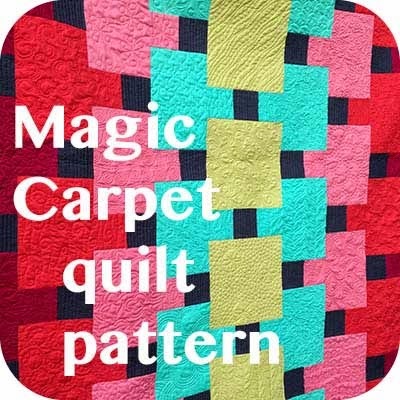 I love your Magic Carpet pattern! A slight variation of a taco salad that was a huge hit at a Jaynes Patriot's Baton troupe Christmas party around 1970. I was about 10 years old. Lettuce, tomato, ground beef, kidney beans, black olives, onion, parmesan, Uncle Dan's Dressing and Doritos. My family's version uses romaine instead of iceberg, ground turkey for the beef, we omit the onion, shredded parmesan instead of the crumbs, Tostidos instead of Doritos and we use pre-made Hidden Valley Ranch. Does Uncle Dan's dressing even exist today? The tomatoes, kidneys and olives are pretty much the same. We had it tonight! As I mentioned before, "Magic Carpet" is beautiful, creative, and unique. Well done! One salad I like is a light side salad, pretty, and good for pot lucks. It is a citrus salad with mint that I made up myself. My favorite salad is the Greek Salad; tomato, cucumber, onion, olives and oliv oil. I make Supreme Pasta Salad. The recipe can be found on the jar of McCormick Salad Supreme Seasoning found in the spice section of grocery stores. I use whole wheat farfalle pasta, grape tomatoes, green onion, green pepper, red pepper and sometimes broccoli. You can use any fresh vegetables you want. Caution: the recipe on the jar calls for 1/4 cup of the Salad Supreme Seasoning. In my opinion, that was wayyyyyyyyyy too much. I use less than a tablespoon. Start small with the seasoning, you can always add more to taste. I also use Kraft Fat Free Italian dressing. Another salad dressing is one Marshall Field's in downtown Chicago used to sell called Twisted Tuna Pasta Salad. Many times I would walk over there at lunch time to buy a container and they listed the ingredients on the label ... spiral pasta, tuna, frozen peas, onion and mayo. Sorry I don't have the amount of ingredients I use because when I make this I don't measure anything ... just wing it. Sorry I forgot to say I love all of the variations of your quilt pattern. Thank you for offering it as a giveaway! I love this pattern and all the colors are great. I'd do a chunk of icebeeg lettuce, blue cheese dressing, bacon crumbles, and sprinkles of blue cheese. Maybe a little onion, too, and lots of black pepper. Brilliant pattern in all the colorways shown! I like a simple shredded carrot salad with sweet and sour. Days of childhood memories, ahh. That's a gorgeous patterns you've created there! I love it! The colors look great. My favorite salad at the moment is the cucumber salad with a creamy mint dressing from 'Oh she glows'. Everyone did a wonderful job! Mediterranean pasta salad is my fave! I love spinach salad with feta, strawberries, toasted almonds and rasbpberry vinaigrette. Love the pattern. Now I'm hungry. My daughter in law makes my favorite salad for our family gatherings. A spinach and arugala salad with cucumber,strawberries, and delivered almonds. She makes a delicious lemon poppyseed vinaigrette dressing! 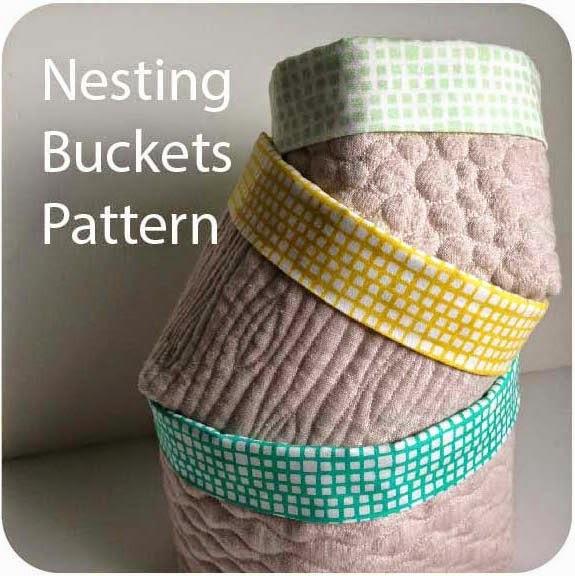 Beautiful quilt pattern, I'm looking forward to making! I have a great Tabouli recipe somewhere in the depths of the scary recipe cupboard. Its great to take along to barbecues! I live in Manresa (Barcelona), but my father's family is from Malaga (Andalucia). In summer we make a typical salad with boiled patatoes, red tomatoes, tuna, pitted olives, green pepper and hard-boiled egg. All thing cut in little pieces. The sauce is preparing with olive oil, salt, vinegar, parsley and cooked egg yolk. And it's better if you let it stand into the refrigerator a couple of hours before consuming. I encourage you to prepare it. It's very good and fresh. love all the pictured samples! oh, forgot to say, favorite salad is Chicken Salad with nuts & grapes in it! What a fun design! I can think of quite a few versions I'd love to make! My favorite salad is a fresh veggie quinoa salad. Yum! Chickpea salad! Chickpeas, red onion, cucumber, tomatoes, yellow peppers, dressed with oil, red vinegar, salt, pepper, garlic and parsley. Lots of colour, fiber and fewer calories. Your pattern is lovely. I hope you do very well with it. I like to make a big green salad starting with butter lettuce. I add a huge variety of vegetables and top it off with chicken or fish. Salmon and cod are our family's favorites. Favorite potluck,all all around salad :chicken with cabbage and ramen noodles. Send you the recipe if you don't have it. Set on a small salad plate and voila: Delicious! I like to saute chicken breast strips in bottled Italian dressing and put them on top of mixed greens, and then whatever else you like on a salad or have on hand. I use hard boiled eggs, mandarin oranges, olives, blueberries, raspberries, tomatoes, etc. With all that goodness on top, you really only need a light drizzle of your favorite dressing. Makes a full dinner! My favorite salad is Potato Salad and I really don't have a recipe. I just mix it up. Thanks for the great giveaway. My favorite salad is ~ cut up root veggies. Red and yellow beet, carrots, watermelon radish, Easter egg radishes, a bit of red cabbage and of course, red bell peppers to give it some pretty color. All raw too ~ drizzled with a bit of olive oil and sprinkled with salt! It's so yummy and I have it almost everyday! Thanks for the giveaway! Such a beautiful quilt! Tuna, Black beans, Cauliflower, walnuts and green olives. Doesn't that sound good? My favorite is my twist on a Caprese salad, using roasted red bell peppers, bocconcini (tiny mozzarella balls), kalamata olives, roasted garlic cloves, fresh basil, and a simple dressing of extra virgin olive oil and fresh lemon juice. 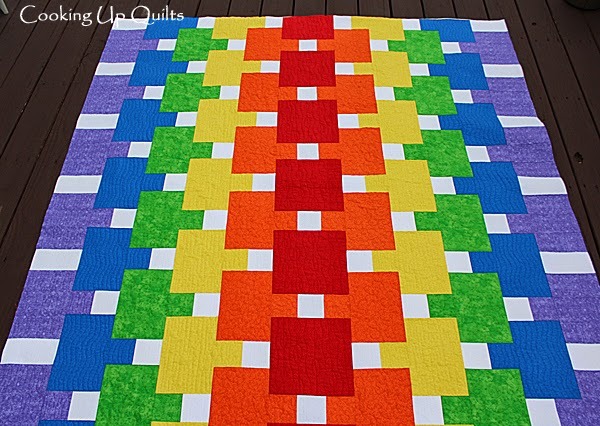 This quilt pattern is the best! 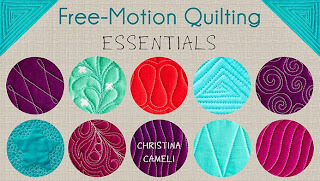 I also have both your books and am enrolled in your online Craftsy class. You're a true inspiration; thank you for sharing so generously. I love all pasta salads, especially those where I add fresh veggies BUT my favorite salad is probably a tried and true English Pea Salad! I love green salad especially field greens. I like to add grilled chicken to it. Salad dressing is anything but ranch. This is beautiful! I want to make it with Burlap Brights! I do love seeing a pattern in different colors/fabrics! What a wonderful design! I just love a good ol' plain green salad with lots of bleu cheese dressing! I love the cole slaw with ramen noodles. It keeps for several days in the refrigerator so you can keep enjoying it. I would have to say that my favorite salad would be taco salad. 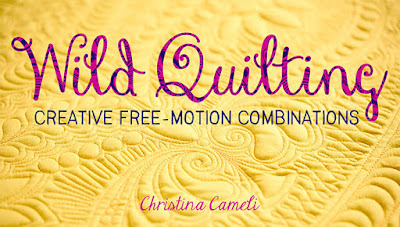 Love your quilt pattern! Chinese chicken salad would be my favorite at the moment. I really like all the various versions of your pattern. I love all the color variations on your pattern. They look so sparkly and festive. Fresh fruit salad with strawberries, oranges, bananas, peaches, raspberries, blueberries. We freeze peaches and blueberries when they are in season to have all year long. Wow...I'm impressed at how many quilts have already been made!!! So pretty. 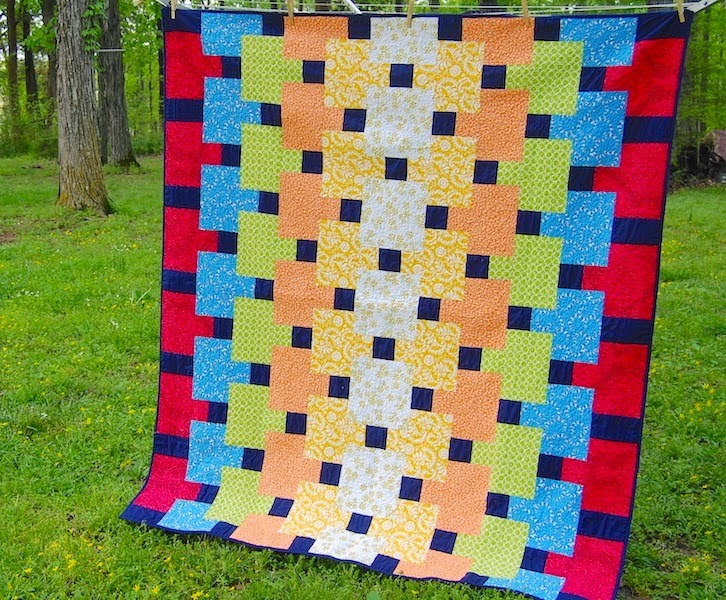 I would love to make this quilt with my grandkids this summer at "Grandma Camp" and have them pick the fabrics and help sew the blocks too!!! My favorite salad is Overnight Layered Salad. So yummy!! I get a bag of salad out of produce, and add tomotoes, avacodos, cucumbers and cheese to it. Favourite salad? It is all about the dressing! A good crisp salad, with a tasty lemon, mustard and honey dressing, can eat that all year round! Right now a family favorite is BBQ chicken salad. Greens, black beans, chopped tomato, fresh corn kernels (or frozen) roasted chicken breast topped with crushed tortilla chips. I make the dressing with tofu based 'sour cream', light mayo, bbq sauce, olive oil anda bit of Old Bay seasoning, It is soooo yummy. One of my kids favorite salad is orange coconut salad. Chopped up oranges, sprinkled with coconut and a little sugar. Stir and eat. My favorite salad is cesar. fave salad: spinach, arugula, tomatoes, thinly sliced red onion or scallions, red bell pepper optional - or cukes. add walnuts and gorgonzola cheese. dress with balsamic or greek dressing. 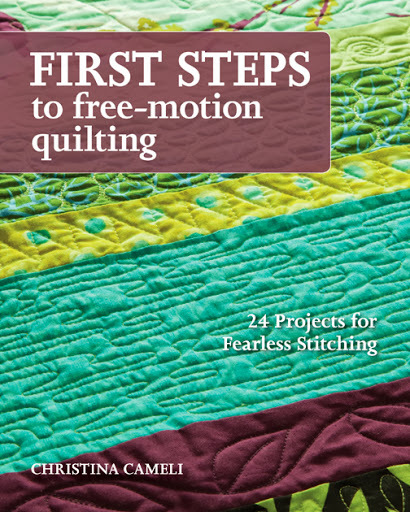 the quilts are so fetching - congratulations on a successful pattern. i think i love the purples and the monochromatic the best. i'd probably use prints if i tried this - it would either be great or horrid - but with a pattern like this i think it would be great! Love your pattern. Love Waldorf Salad (apples, grapes, celery and walnuts, a little lemon juice to keep the apples from browning and give it all a light coating of mayo) Super easy, looks pretty and is generally loved by all. Great Pattern! Fruit salad w/cool whip. Great pattern - I love Sarah's and Jasmine's! Such a pleasing pattern, and beautiful presentations. My favorite meat salad is chicken, with grapes or apricots and raisins, almonds, and lovage, dressed with mayo & sour cream. For non-meat, I love cornbread salad, with lettuce, tomato, onion, green pepper, and brown beans. Good eating! Love, love, love this pattern! My go-to green salad is lettuce (your choice), Craisins, pecan pieces, blue cheese, maybe a little finely chopped onion, and a dressing made with olive oil, rice wine vinegar and a packet of Splenda. When tomatoes are in season, I make bread salad- loaf of crusty bread, olive oil, chopped tomatoes, shallots, fresh oregano. Sometimes I add fresh mozzarella, too! Our favorite salad is a chinese coleslaw. Dressing is made using the seasoning packet from ramen noodle soup. And then the crunchy noodles and peanuts are placed on the finished salad. I just made a barley, stir fried string bean, grilled mushrooms, and baked tofu salad from the excellent cookbook Salad For Dinner. It was not a quick lunch to make but it was absolutely delicious. If you like salads, you will LOVE this book. I'm definitely adding this one to my bucket list! To make my favorite summer salads I chop up and store bibb or Boston lettuce and add some spinach. Then I chop up and store baby carrots, green pepper, heirloom tomatoes. When I want a salad, I just toss some of the ingredients into a bowl and add avocado, hard-boiled egg, chicken or cheese cubes - whatever I'm in the mood for. Favorite dressings - honey mustard or vinaigrette. Greek Salad is my favorite. 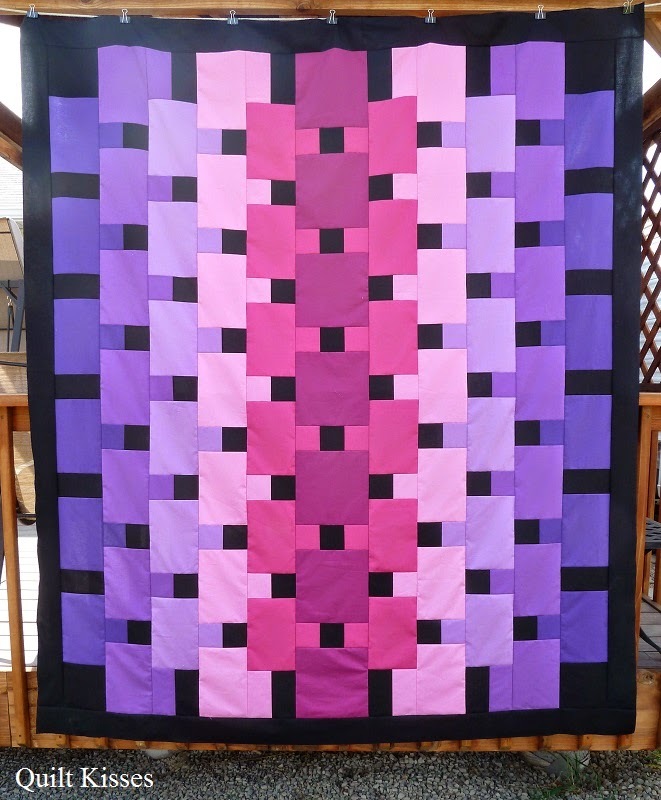 Fabulous quilt pattern, really am liking solids. I love your pattern and love your work, especially with solids. Favorite salad? A variety of lettuce leaves, cut red pepper and some yummy Greek olives! Mandarin orange salad with orange dressing (homemade). Iceberg lettuce, chive onion tops, cucumbers (I leave these out for hubby) can of mandarin oranges, and avocado (only sometimes). The orange dressing is key. If you want the dressing recipe, just ask. I like a nice green salad with chicken breast, Gorgonzola, a few dried cranberries,and candied walnuts. Love the pattern. My favourite salad is a spinach salad with my homemade peanut dressing. Love the pattern. My favorite salad is a broccoli and cauliflower salad with bacon and white raisins. I love any kind of pasta salad! I'm having bad luck w/connections today so apologies if this shows up more than once! Beautiful quilts, all! My current fave salad is: radicchio, quartered and sliced, grated carrot, garbanzo beans, halved kalamata olives, shaved parmesan, salt and pepper. Squeeze half a lemon over all, add a few glugs of good olive oil and home made croutons if you've got 'em. Toss and enjoy! 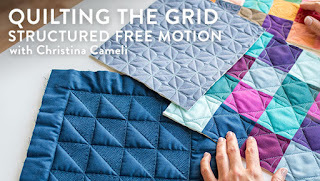 I am amazed at the different finished quilts all from the same pattern. How neat are they?!?! I love tossing strawberries, figs and feta on mixed greens with a balsamic vinaigrette. I add homemade granola and it's like a party in my mouth. Cool pattern. I love all the different ways it came out. I don't like or eat salad so I am not any help! The quilts are all very interesting. I love this versatile pattern. Our favorite salad is a taco salad. Now that summer is here, we'll be having lots of it. It's a complete meal. Love Love this pattern. I hope I win. Wow, I love them all! This is such a cool pattern. I'm not a very interesting salad eater... But I love putting almonds and sunflower seeds in mine. What a great pattern. My favorite salad is a spicy massaged kale salad. I love iceberglettuce, thinly sliced apples and cucumber with shaved carrots. Mom used to put raisins in as well.